I used to be a waiter in a Mexican restaurant in Indiana. Now that's where you go for Mexican. Time was, Americans considered a chicken enchilada combo plate (with rice and beans) solidly Mexican. Then along came Diana Kennedy’s 1972 The Cuisines of Mexico, a book that raised Americans’ understanding of, and appreciation for, regional Mexican cookery. But in publishing it, she also dismissed our familiar Texas-style “mixed plates” as ersatz and debased Mexican, not worthy of our time and attention. After Kennedy, Tex-Mex was to real Mexican as ReaLemon was to an actual lemon. To this day, nearly forty years later, some folks look down on what we’ve come to call Tex-Mex cooking. “That’s not” they can be heard to sniff “real Mexican food.” Well, they have a point. Tex-Mex is not Mexican per se. Kennedy was right. The food you find in restaurants and homes throughout Texas and at “Mexican” joints in the Southwest and Midwest is sometimes nothing like what’s eaten in Oaxaca, the Yucatan Peninsula, or Michoacán. This is not news — but it doesn’t stop the supercilious regard some hold for a sizzling plate of fajitas. Good lord. How can anyone look down on a well-made plate of fajitas? We can all thank Diana Kennedy for inadvertently granting Tex-Mex its rightful place in food history. By convincing us that Tex-Mex wasn’t really Mexican food, she forced us to realize that it was something far more interesting: America’s oldest regional cuisine. 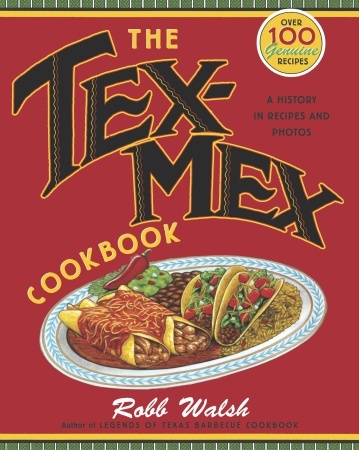 Walsh makes the case in The Tex-Mex Cookbook for this “debased” Mexican as a very old and perfectly legitimate amalgam of cookery traditions from Mexico with influences from German, Native American, and even Canary Islander sources. He reminds us that San Antonio’s famous “chili queens” were selling bowls of spicy red goodness to hungry Texans around the time Vincent van Gogh killed himself and H.P Lovecraft was in diapers. The Tex-Mex Cookbook is an invaluable source of information on this regional American cookery. Really. 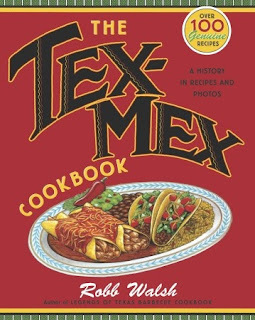 If you know nothing about Tex-Mex other than it involves chili, tequila, enchiladas, nachos, bean dip, and Frito pie, this is the book that explains what it is, where it came from, and why it’s not simply low-rent Mexican, but born of a tradition that both sprang from and parallels Mexican cookery. Walsh digs into archives and newspaper morgues, pulling old photos and interviewing old-timers. This is solid scholarly research. Naturally, there are chapters on chili and tacos, but there’s substantial ink devoted to enchiladas, tamales, breakfasts, sweets, and, for you boozers, the margarita (including the story of how Mauriano Martinez saw kids getting Slurpees at 7-11 in the early 1970’s and — bing! — had the idea for a machine to make frozen margaritas which theretofore had required blenders). Yes, recipes are included. Made it this far? Good. Pour yourself a michelada, a lightly spicy lime-and-beer concoction that can be pretty damn refreshing with a plate of grilled oysters. Salt the rim of a chilled beer mug by rubbing it with the lime and dipping it in the coarse salt. Squeeze the lime into the mug. Add the Worcestershire sauce and Tabasco. Pour in the beer and serve. 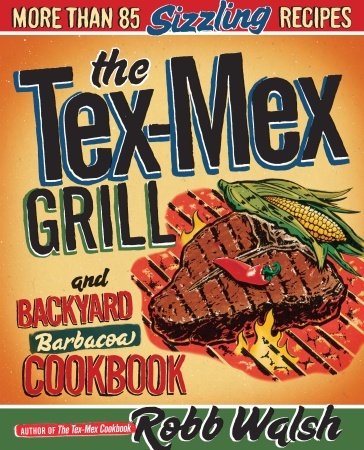 Walsh picks up the Tex-Mex story in The Tex-Mex Grill and Backyard Barbacoa Cookbook (2010) that focuses on grilling and smoking techniques you’ll find in restaurants, backyards, and various ho-downs in the Lone Star state. 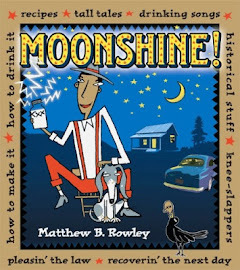 Yeah, there’s some repeated material from the earlier book (There’s Martinez and his frozen margaritas again). But there’s also barbacoa de Borrego, beef short ribs in an ancho-molasses sauce (we use cane syrup), sweetbread tacos, grilled baby goat, rack of lamb with red pepper glaze, posole, and a long section on fajitas — what they are, where they come from, how they became popular, and why they’re sometimes mushy (tenderizing enzymes). Recipes abound for goat, pig, beef, game, chicken, seafood, burgers, and the drinks and sides that go with them. We are especially fond of a recipe that doesn’t appear in the index: page 201’s cilantro cream. Mix in a bowl and refrigerate until ready to use. It goes especially well with puffy tacos or a big ol’ plate of freshly grilled fajitas — like the one below just begging for onions and peppers. Thanks, Robb, for the pointers on making them. Robb Walsh: Texas Eats. The man has a blog. Buy his books, but check out the free stuff, too. Click on the “books” tab once there for a rundown of his other titles. Texas Tea, a Punch in Disguise — a bit inspired by an offhand comment in a 1960's Texas cookbook.